Enabling patients the opportunity to reduce hair growth as well as skin rejuvenation. 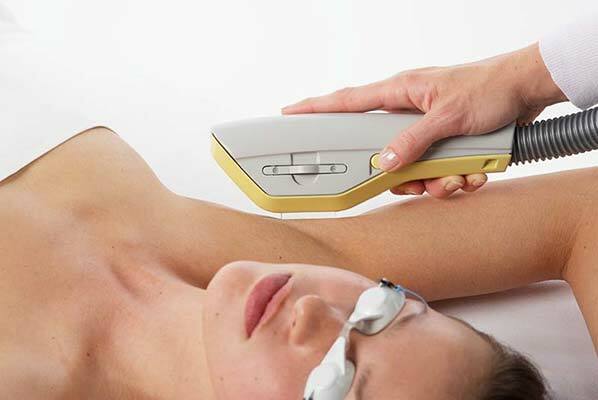 moles and hair removal using advanced electrolysis. in a variety of treatments to inspire skin confidence. At Dermaclear Advanced Cosmetic Procedures, our aim is to visibly transform your skin and naturally enhance your appearance. 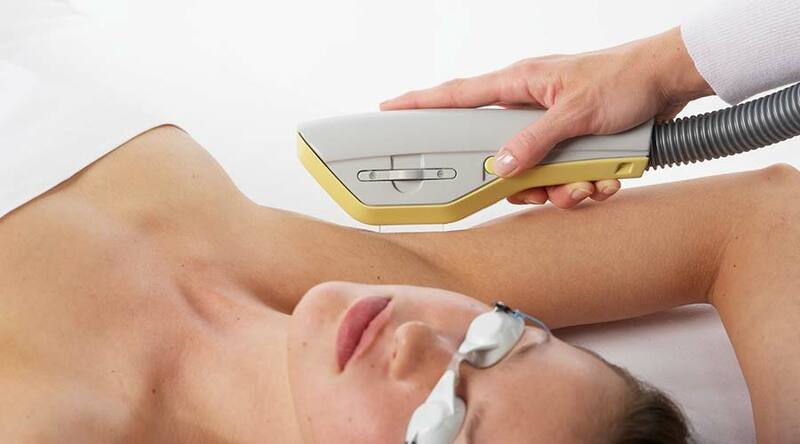 hair removal, blemishes using advanced electrolysis and IPL. Advanced Electrolysis to remove and visibly reduce the appearance of unwanted skin blemishes and moles, treatments are suitable for both Female and Male clients. Unwanted hair is permanently removed using a variety of electrolysis techniques to ensure smooth hair free skin. Advanced skin peels to rapidly and visibly help to control the skins natural ageing process, effectively reducing unwanted skin pigmentation and dramatically improve acne skin conditions. Skin needling (Collagen Induction Therapy) to reduce the appearance of fine lines, wrinkles, stretch marks and scarring. iCon Ultralift™ - Creating a new dimension in non-surgical technology for both the face and body promoting age reversal and preventative treatments with outstanding results. 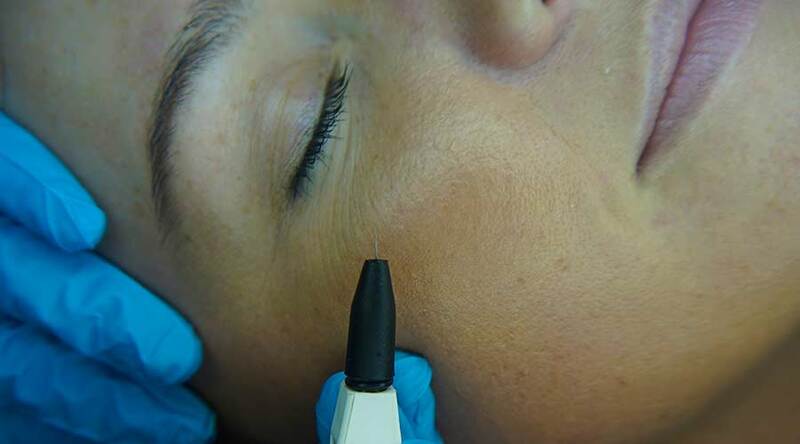 Advanced electrolysis techniques, remove and visibly reduce the appearance of skin blemishes, vascular blemishes and moles on the face and body. The treatment is suitable for male and female clients of all ages. Electrolysis is a safe, gentle and effective way to permanently remove undesirable hair. The treatment can be used as an effective stand alone hair removal treatment or as part of IPL/Laser treatment. iCon Ultralift™ offers 15 innovative NON SURGICAL treatment options for skin enhancement, facial and body toning, using the highest powered waveforms in the industry. Mesotherapy no needle treatments are used to create a bespoke facial treatment to suit your personal skin needs. 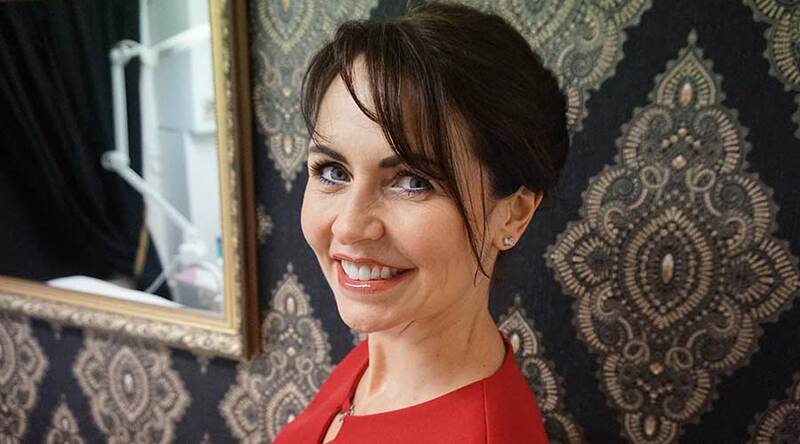 The treatment uses various non surgical techniques to rejuvenate, retexture, rebalance and revive the skin. Skin peel treatments are an effective way to treat ageing skin, acne and pigmentation. 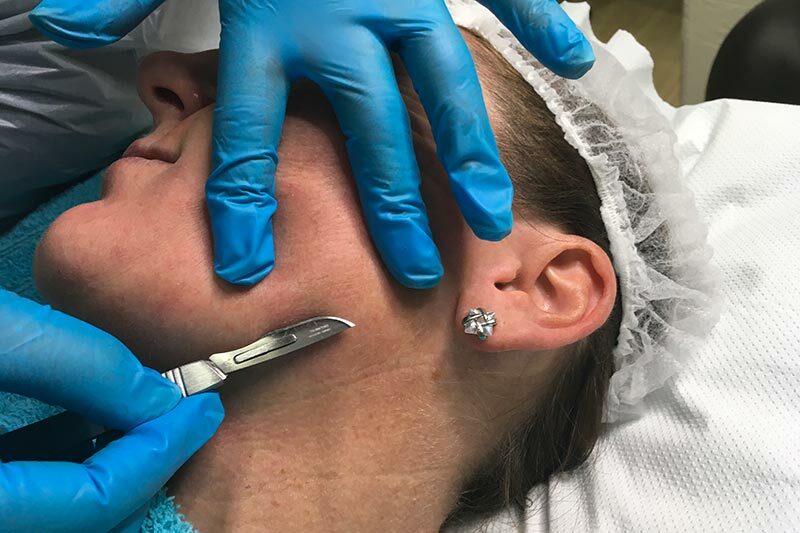 Skin Peel works to improve the skins appearance using non-invasive & advanced skin care products to achieve a healthy, glowing and youthful complexion. 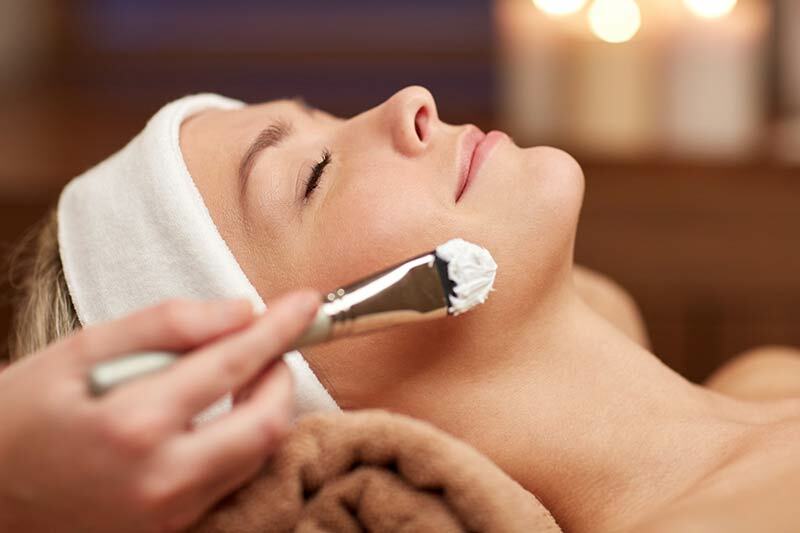 A Facial treatment which deeply and manually exfoliates the top surface of the skin. Dead dull and lifeless skin cells are removed from the skin to achieve an even toned, soft and brighter complexion. 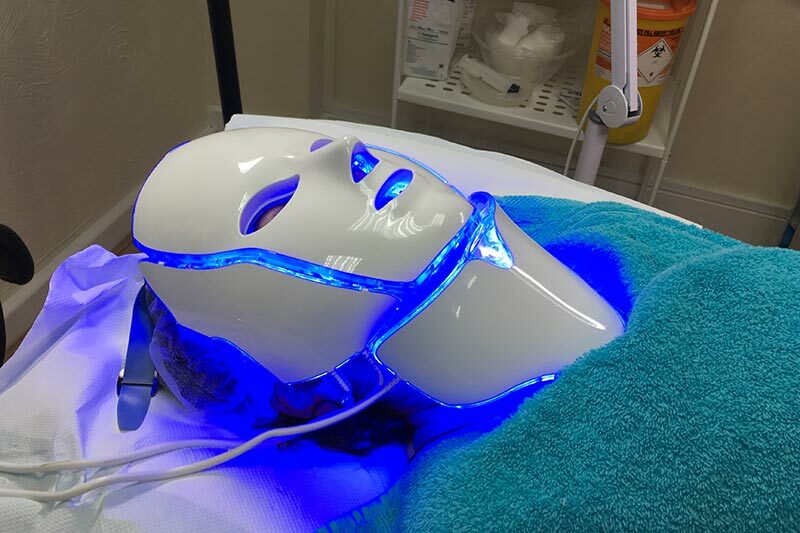 Clinically proven treatment uses LED light to treat the skin. The red light, boosts collagen and elastin production and The blue light used to treat acne skin conditions, congested skin and blemishes. Please feel free to get in touch with us to discuss any of the services we provide. We would love to hear from you, so contact us today.